so i've been helping out my parents build a house lately mainly because they're letting me live in it rent free while i'm in school. new room for grey means new battlestation since i'm a total computer gaming nerd. 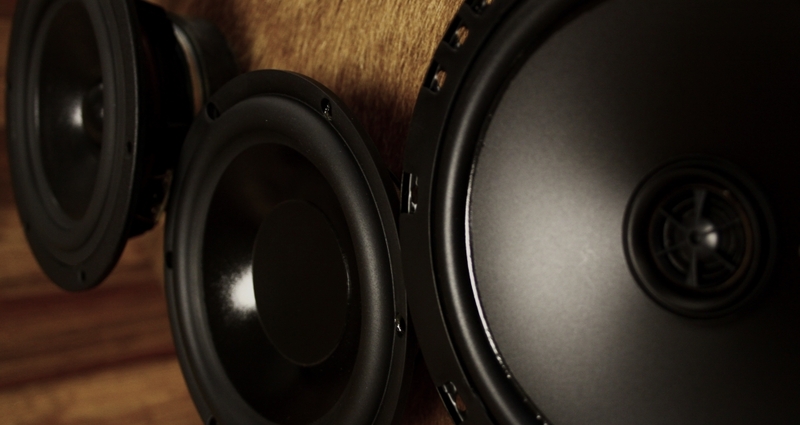 one thing i've never had is some really nice looking speakers on my desk and i need to remedy that. i bought the vifa woofers from mr. scott quick a while back and needed to put them to purpose. 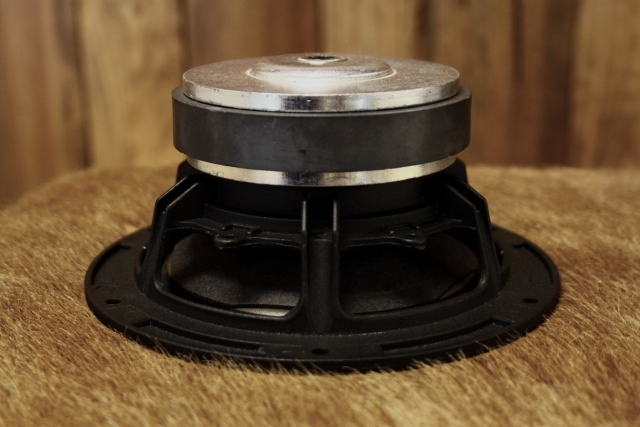 i really love the aesthetic of coaxial drivers, having two in one really cleans up the baffle and allows for a more compact design, which is great because i over-engineer everything and like to try new concepts for each build. 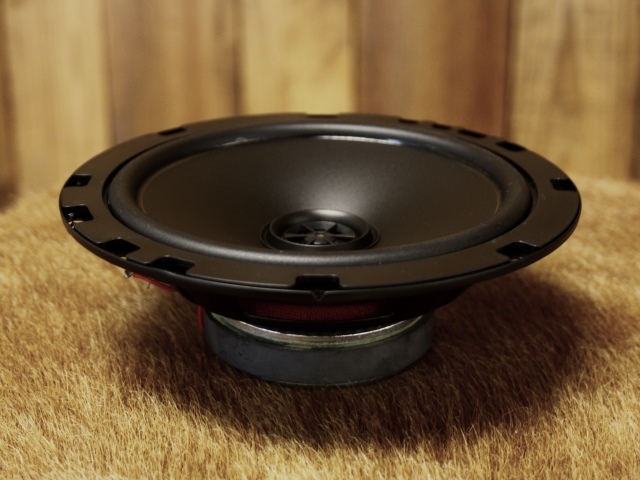 a few months ago i stumbled upon this rockford fosgate driver while looking at car audio stuff. wow, they're only $40 on amazon prime and would you know it, i got a $25 gift card from the parents for xmas. 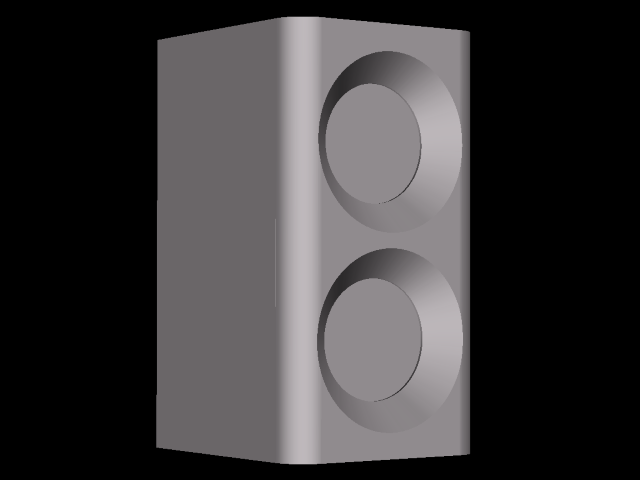 modeling the woofer hundreds of times and slowly working out a shape and various alignments. sealed is great quality bass, but i've done 3-4 builds now with sealed. ported is too "floppy" - if i may - and balancing the port volume and enclosure volume is tricky, not to mention i need a 2.5" port in a .5cf box which is silly huge, and in turn, ventures into peter north territory. so i opened up parts express' website and looked for a passive radiator, size doesn't change, so it's more simple than a port. first one i picked, i get a similar response to sealed, but with more booty, and my anaconda don't, so that was the way to go. group delay, what's that? did a little research, and read about the 400 rule (frequency x delay in ms <= 400) and tweaked my box size a little to attain that quality. gotcha. unibox (sorry bagby, i just prefer unibox still) says the impulse response is nearly identical to the sealed, over-damped impulse response, which i used in my last build and i loved those speakers, didn't want to give them away, but they're being enjoyed by a real vinyl lover, my bff. so the new things i'm trying out this build are: coaxial driver, passive radiator, constrained layer, (possibly) hardwood baffle, and distortion measurements. This will also be my second ever passive crossover. finally the name, in case you were wondering is my favorite transformer, he's only got one eye (coax driver looks like an eye). with this being a desktop speaker, they need to be compact, but not too compact because i have a pair of 27" monitors that i use. after tweaking the design a bit i experimented with a piece of birch, silicone and tile, to see if it compresses and after a couple weeks, it's still sitting pretty at 29mm thick. 19mm for the wood, 3mm of silicone and 7mm thick ceramic tile. so i fired up boxycad and 1.1412" thick top, bottom, and sides. the front and rear baffles are different monsters, they'll be 1.5" thick on the backside, and a total of 2.25" on the front with a normal 3/4" baffle and recessed drivers and a "facade" 1.5" thick with some fancy (to me) router work. 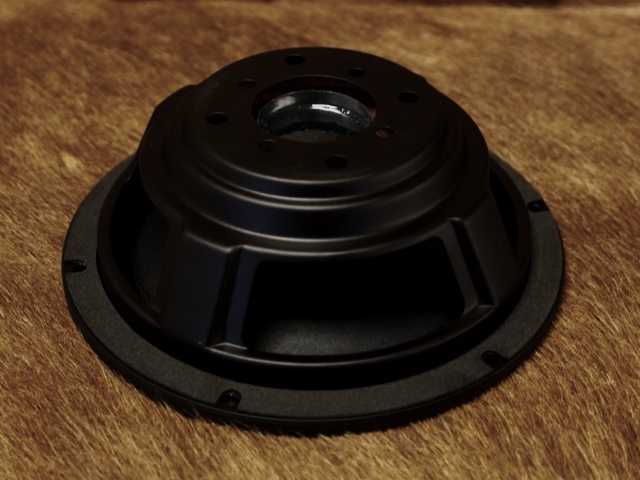 the mid/tweet coaxial driver will have it's own compartment, which i sized to make the woofer compartment the correct volume. 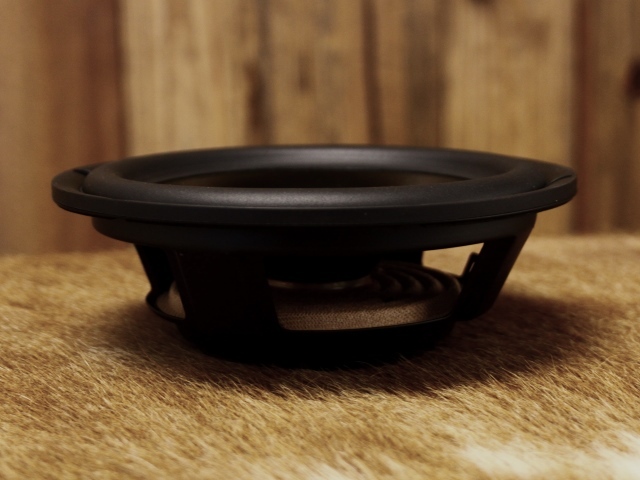 which leaves a small amount of room for the crossover between the woofer and passive radiator, or in the tiny compartment in the back of the box. this is as far as i have gotten, and i'm hoping to be able to cut some wood tomorrow, stay tuned for updates! Last edited by greywarden; 06-25-2016, 06:27 AM. Thanks, you have no idea how long that took to put together, lol, that being said, I'll attempt to stick to the same format for future official updates. Nicely documented so far! Are you going to do anything custom to that coax driver? I like the idea of a coax point source, and looked at some drives. The car stuff with preset crossover limits tweaking options, unless you can get frd/zma measurements yourself, get to the individual inputs, and design an improved crossover. Yeah I have measurement equipment. I plan to measure on/off axis response and distortion as well. I'll remove the cap on the tweeter and separate the two drivers so I can do up a crossover for them. Man that was years ago, still catching crap for it haha. Seems like of lot of stuff into a pretty small box. Large roundovers should only help to smooth HF responses. Yeah it is rather ambitious, I'm not sure the roundover will affect the FR much with the giant chamfers, but I honestly have no idea. Guess I could do flat baffle measurements and compare them. Cool project. Nice documentation. Do / will you have frequency response plots of the coax? but, the resolution of your first photo and unibox graphs aren't playing nicely with the width of my browser window. you might consider resizing to prevent side scrolling. I'm going to make measurements, afaik there isn't a single car audio driver measurement anywhere on the web bc it doesn't matter when you put it in a car, it's gonna sound like junk, lol. What resolution are you using? I have a 2560x1440 for my main, and of course it looks normal there, but I have a 1920x1080 in portrait, so only 1080 pixels wide and only the widest pictures are causing the browser to side-scroll, and only by like 20-30 pixels. i didn't get any wood cut today (we got the electricity turned on and internet at the house, so i ended up listening to the 7.1 system i for a couple hours) but i did secure some scraps of the absolutely gorgeous ambrosia maple we used for the island countertop! i'll definitely add a couple pictures of the finished wood tomorrow because i'm super proud of my handiwork. Looking forward to the measurements. 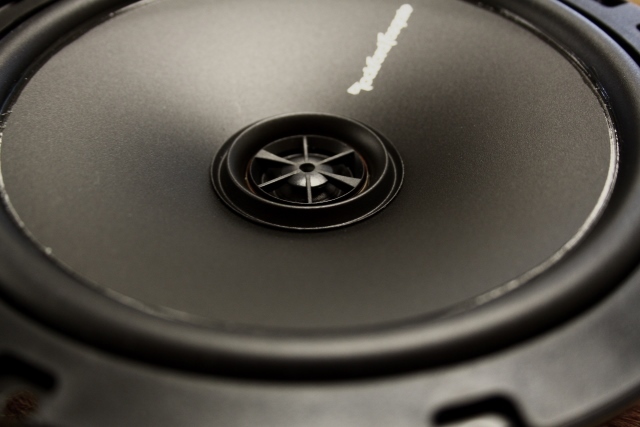 Like you said, I've never seen a measurement of a Rockford Fosgate or any other car woofer. Should be interesting. Thanks for resizing. They look fine on my laptop now. I usually run chrome in a medium size window, even on a big monitor just to get it down to a normal size piece of paper. I find it easier... maybe I'm weird. But I appreciate it. Watching with much interest. I've mulled over using a car coaxial in such a manner, but am a little inexperienced yet at this hobby. I like that it allows a little downsizing (depending on woofer needs of course) of the enclosure. It also does away with any center-to-center spacing issues of side by side drivers. 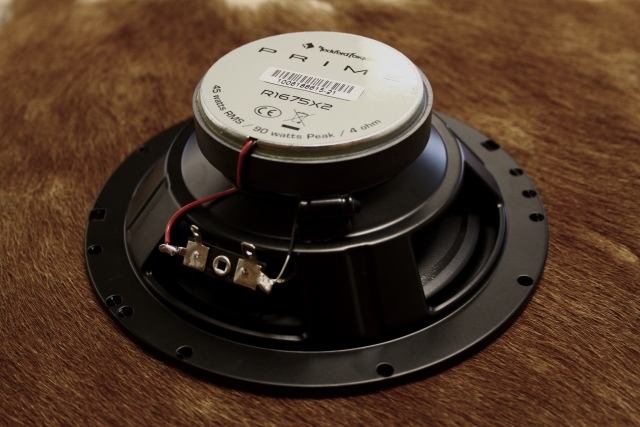 Will the RF be in its own sealed enclosure, sort of a home grown sealed back mid, to prevent interaction with the woofer movements? Well I didn't do anything, so..... idk what to tell you haha. Yeah it'll be sealed away in the 0.16cf compartment. Won't matter much when it's crossed to the woofer.